To achieve the Sustainable Development Goals and promote gender-equitable land tenure, discriminatory laws, institutions, and customary practices need to be addressed. For millions of rural women their nexus to the land – their lifeline, home, livelihood, and social security – often teeters on the strength of their relationship to their father, husband, brother or son. In many contexts, they lack direct, unmediated rights to the land. They face layers of discrimination in both the law and in practice, fueled by their gender, race, ethnicity, affiliation, orientation, age, or social status. Research affirms that secure land rights can be transformational for women, their families, and communities. The Global Agenda for Sustainable Development spotlights land as a critical driver, and regional efforts reflect growing political support for women’s land rights. Broad coalitions of NGOs and civil society rally around regional and global calls. The Deliver for Good campaign spotlights women’s land rights as critical to a holistic gender-responsive implementation of the sustainable development agenda. A recently launched Africa Land Policy Initiative campaign calls for 30 percent of documented land in women’s name individually or jointly. According to UN Women, women make up on average less than 20 percent of the world’s landholders. Yet there is no global or consistent national data on the true scope of women’s land rights. Efforts to quantify women’s land ownership is often criticized because no clear, universal definition of land “ownership” for women exists, and women (and men) can access and use land under a broad range of legal and customary land tenure arrangements. Based on evidence across multiple measures of land ownership, women do own less land and have less secure rights over land than men, but there is no systematically collected data on women’s land rights or access to land. Governments’ high-level commitment to land rights reflected in the Sustainable Development Goals could potentially revolutionize data collection on women’s rights to land. Goal 1 on ending poverty stands to generate comprehensive, systemic evidence of both state-documented land rights and women’s (and men’s) perceptions of the security of their land tenure (to be captured by Goal 1’s Indicator 1.4.2). The hundreds of millions of women who depend on land for their livelihood, survival, and housing stand to benefit immensely if laws, policies, and programs become better informed by such evidence, on local, national, and global level. Under formal law, women have equal property rights in 115 countries and equal inheritance rights in 93 countries. However, the 2012 Social Institutions and Gender Index of the Organisation for Economic Co-operation and Development found that in 79 countries where women have equal rights to own and access land in formal law, discriminatory practices curtail such rights in practice. Even where land access is legally enshrined, women are often relegated to smaller, lesser quality plots, lack access to requisite agricultural extensions services, and face lingering gender bias and discrimination within families and communities and by officials implementing land reform schemes. Women are particularly and adversely impacted when community and indigenous peoples’ collective land rights are disregarded. Despite a history of customary use and ownership of over 50 percent of the world’s land area, ownership and control by the world’s Indigenous People and local communities – up to 2.5 billion women and men – is only legally recognized for a fifth of the land that is rightfully theirs. Rapidly expanding land and natural resources-based investments and development projects often lead to the displacement of Indigenous People and local communities, with women adversely and disproportionately affected,due in part to their unequal participation in shaping community governance and national policies. As governments increasingly seek to recognize communities’ land rights, the definition of communities and of community membership and rights continue to reflect a gender bias. In many settings, women are seen as “transient” members of the community, expected to “marry out” of their birth communities. These women often lose their natal community rights upon marriage, without being fully accepted as members of their marital communities. Communities with polygamous arrangements further complicate and dilute women’s land rights. As the bulk of the world’s poor and those who most rely on land and natural resources for their livelihood, women are hardest hit by climate change.Research shows that women in the regions of the world most affected by climate change—Africa and South Asia—bear the brunt of increased natural disasters, displacement, unpredictable rain fall, decreased food production, and increased hunger and poverty. Even well-intentioned government and private conservation or carbon markets efforts can result in devastating results for women who depend on forests or natural resources for their livelihood and survival but lack recognized rights to them. Emerging evidence suggests that when women hold secure rights to land, efforts to tackle climate change are more successful,and responsibilities and benefits associated with climate change response programs are more equitably distributed. Conversely, without effective legal control over the land they farm or the proceeds of their labor, women often lack the incentive, security, opportunity, or authority to make decisions about ways to conserve the land and to ensure its long-term productivity. Nonetheless, overemphasis on women as chief stewards of the environment has been criticized for over-whelming women’s already heavy, disproportionate caretaking load, whether of the home, or of the planet. Research demonstrates links between strengthening women’s rights to land and productive assets and women’s increased participation in household decision making. 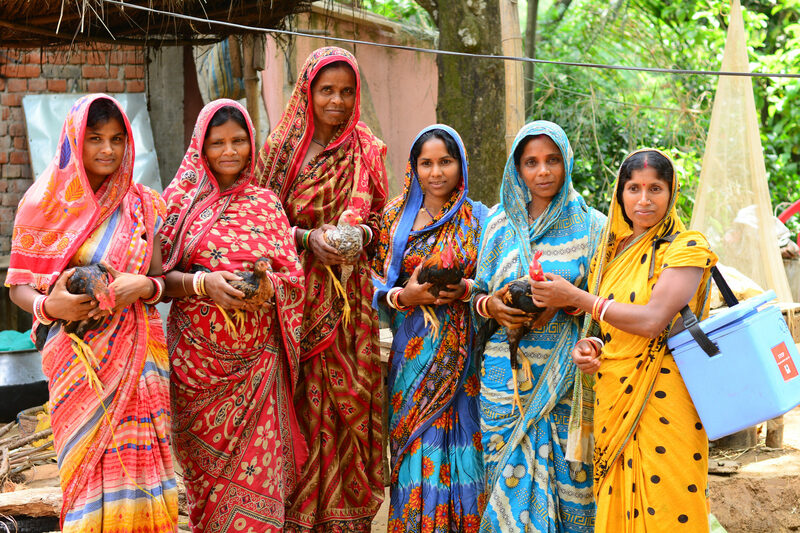 Women’s land rights are generally considered secure if they are defined clearly and for a known duration; socially and legally legitimate and recognized; unaffected by changes in social status that would not affect men’s tenure security (such as dissolution of marriage by divorce or death), enforceable and directly exercisable without an additional layer of approval that applies only to women. Deliver for Good, Accelerate Access to Resources – Land, Clean Energy, Water, and Sanitation (2016), at http://womendeliver.org/investment/accelerate-access-resources-land-clean-energy-water-sanitation. Victoria Tauli-Corpuz, United Nations special rapporteur on the rights of indigenous peoples, Indigenous women are raising their voices and can no longer be ignored (Aug. 7, 2015) at https://www.theguardian.com/global-development/2015/aug/07/international-day-of-the-worlds-indigenous-peoples-women-victoria-tauli-corpuz-un-special-rapporteur. FAO. The State of Food and Agriculture 2010-2011. Women in Agriculture: Closing the Gender Gap in Development, p.23, at http://www.fao.org/docrep/013/i2050e/i2050e.pdf. C. Deere, C. Doss. (2008). Gender and the Distribution of Wealth in Developing Countries. In Personal Wealth from a Global Perspective. Ed. by James Davies. B. Agarwal. (1997). “Bargaining” and Gender Relations: Within and Beyond the Household. Feminist Economics. 3(1): 1-51. K. Allendorf. (2007) Do Women’s Land Rights Promote Empowerment and Child Health in Nepal?. World Development 35(11):1975‐1988. N. Menon, Y. van der Meulen Rodgers, & H. Nguyen. (2014). Women’s Land Rights and Children’s Human Capital in Vietnam. World Development, 54, 18-31. C. Doss. (2006). The Effects of Intrahousehold Property Ownership on Expenditure Patterns in Ghana. Journal of African Economies, 15(1), 149-180. A. Peterman. (2011). Women’s Property Rights and Gendered Policies: Implications for Women’s Long-term Welfare in Rural Tanzania. The Journal of Development Studies 47(1): 1-30. K. Saito, et al. (1994). Raising the Productivity of Women Farmers in Sub-Saharan Africa. World Bank Research Report, 1(1):1-110 p. 95. Women’s empowerment and voice in household decision making leads to an increase in spending allocated to food, healthcare, and education which improve children’s wellbeing in the present as well as future human capital. Research has shown that women with secure land access were eight times less likely to suffer from domestic violence.